To produce aerospace grade UAVs with the highest quality standards we employ methodical production processes and quality assurance procedures. Our team of engineers follow well tested procedures and strive for a zero defect production process. 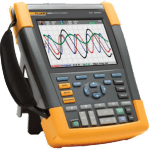 Every component is tested beyond its tolerance to ensure the lowest possible failure rate. The 50 suppliers and almost 100 components used in the DeltaQuad UAV have all been carefully selected from a large pool of candidates. We make sure that all components are inspected and tested upon delivery to assure no faulty or damaged components enter the production process. 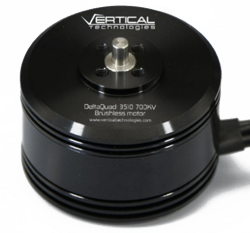 Many of the components are produced specifically for the DeltaQuad UAV by suppliers all over the world. Some components are produced in-house using state of the art CNC and FDM machines. 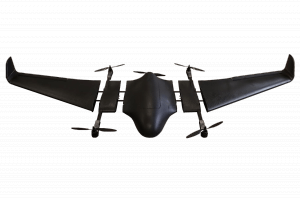 Before the UAVs are assembled, several sub assemblies are produced such as wire-looms, connector sets,battery bays, avionics sets and payload systems. These sub assemblies are produced to be consistent, easy to replace and light weight. Specific tests are designed to ensure they meet our high quality standards. Raw components and sub assemblies come together when producing the modules that make up the DeltaQuad platform. These consist of the Fuselage, Wings and VTOL nacelles. The modules are assembled using custom designed tools and rigs to ensure mm accurate production. Industrial tools, glues and 107 separate screws are used in this process. Every step is the result of years of R&D and they are all performed to our exacting standards. When a module is produced it undergoes a series of tests to pass our quality assurance. After passing these tests they are made available for final assembly and optional customization. The modules come together to form a DeltaQuad platform. At this stage the vehicles are assigned a serial number and the specific modifications for the selected platform are made such as camera integration, embedding transmission systems and custom sensor integration. Using lasers the platforms are aligned to ensure the highest performance and least drag. Using specialized equipment the platform specific components are tested to make sure everything is operating perfectly. When all components are installed an avionics technician gets to work. The latest autopilot firmware is installed, all parameters for the selected vehicle are loaded and the sensors are calibrated using specialized calibration equipment. The vehicle then undergoes a series of quality assurance tests after which the vertical flight mode is tested to its extremes in a controlled environment. Only after passing all tests and deemed airworthy will the avionics technician releases the vehicle for its maiden flight. 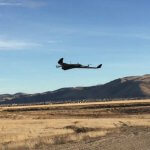 Every DeltaQuad UAV is taken to our test site where one of our pilots will perform a test flight. The test flight is carefully designed to make the vehicle perform a series of maneuvers to cover every possible flight situation. When the test flight is done an avionics technician analyses the log using both manual and automated procedures to ensure the vehicle is performing absolutely optimal. When passing its final stage the vehicle and all of its components are registered as airworthy and sent to its new owner. 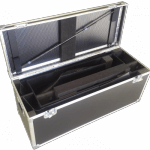 The UAV is packed in its rugged flight case and the manifest is carefully checked to ensure all ordered components are included. The high capacity batteries are separately transported by the Maxamps factory, or by our Dangerous Goods specialists to areas that are do not allow these batteries to be transported by conventional transporters. Our Dangerous Goods specialists practically always get the UAV batteries to their destination.